If you’re travelling Dublin any time soon, or if you live in Dublin and fancy acting the tourist, here are some things to do in rain, hail or snow. If it’s sunny, click here to for some ideas. The day that I visited the Guinness Storehouse was one of the most fun days I’ve ever had in Dublin. The day Darren and I were there, there was a Irish trad band playing in one of the pubs and the food menu included Irish classics like Steak and Guinness Pie (not that I’d eat it) and Irish Stew. 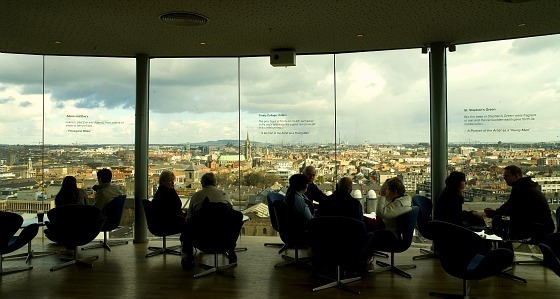 The Guinness Storehouse is also home to the Gravity Bar, which boasts one of the best views of Dublin City. On a clear day, the views are stunning, so hopefully the weather isn’t typically Irish the day you visit. Honestly, for the price and the amount of craic you’ll have, the Guinness Storehouse really is one of the best things to do in Dublin. Tickets: Prices vary depending on the day and time but they start at €14 each for adults. The Lighthouse Cinema is one with a lot of character! It’s a bit quirky, which makes it stand apart from the likes of Vue Cinema. It focuses on showing classic films, as well as new releases, and that’s what I love about it. We went to watch one of our favourite films, Batman: The Dark Knight, and it was great seeing it on the big screen again! There’s a small restaurant as well as a popcorn/sweets stand and it has a lovely energy about the place. Tickets: From €11 per adult, buy here. 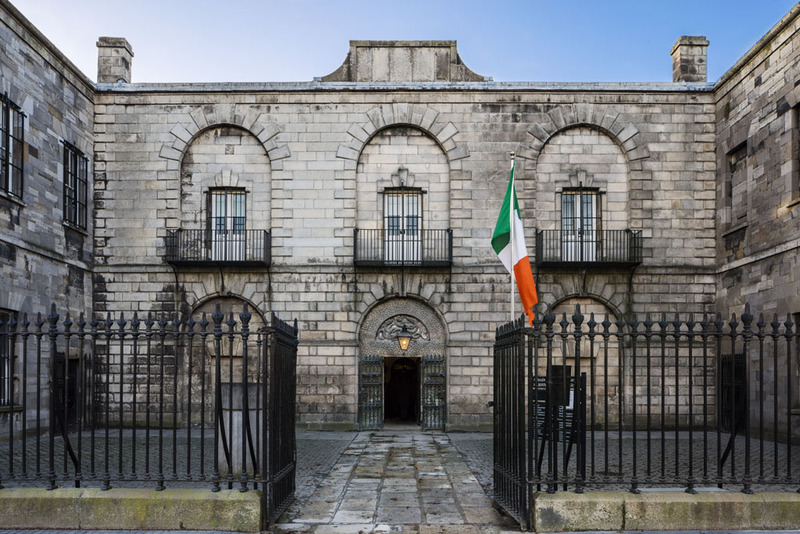 The hour long guided tour of Kilmainham Gaol gives you an awesome insight into some of the most significant events in Irish history including the Famine, the Easter Rising, the War of Independence and the Civil War. You learn all about the prisoners (Robert Emmet, Charles Stewart Parnell and Eamon De Valera were amongst them), their crimes, penalties and you can even visit the cells where they were imprisoned. Tickets: €9 at the door or €8 online. 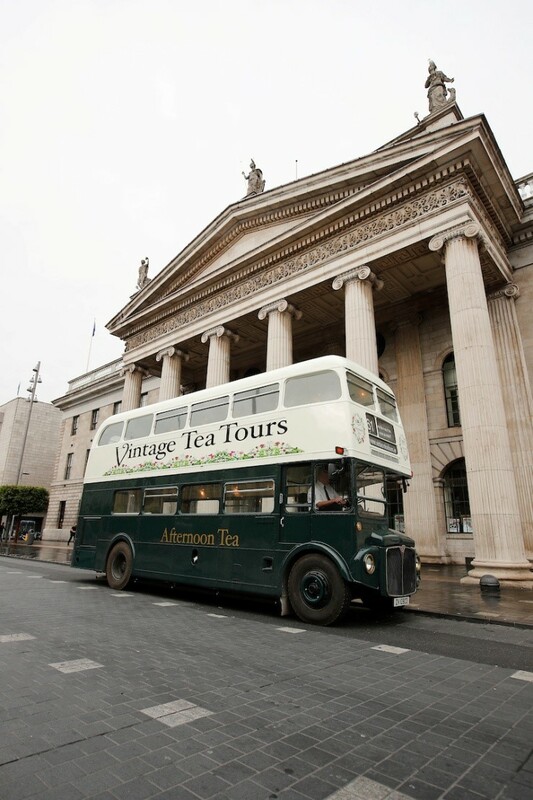 Travelling around Dublin City, while enjoying afternoon tea, is my idea of a perfect day out! The tour runs 3 times a day from Wednesday to Sunday and I’ve heard nothing but good things about it. The staff, the music and the food are all supposed to be amazing. Parched for a cuppa now! Tickets: From €40 and the tour takes approximately an hour and a half. From tea to whiskey in 2 seconds flat! I did this tour a couple of years ago and it was brilliant! It has had massive renovations since I’m sure it’s even better now. Myself and Darren volunteered for the taste experience, during which you taste 4 or 5 brands of whiskey to see can you tell the difference. 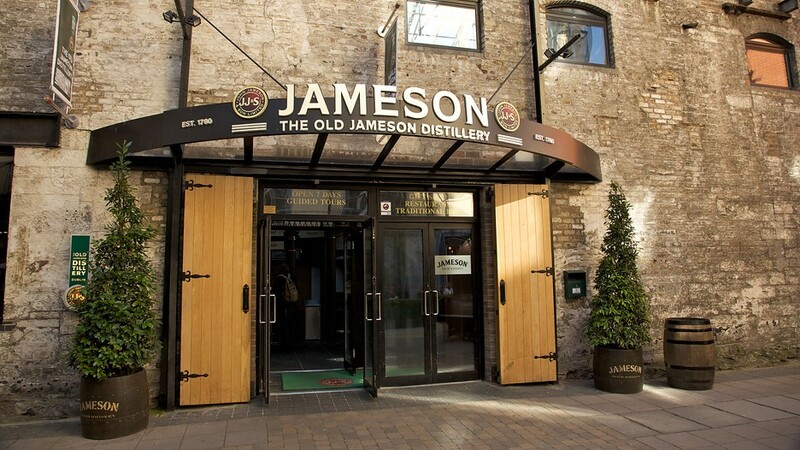 I was so surprised to learn that whiskey actually has a taste (rather than just sting your throat), when you know how to taste it properly that is! You also get to choose a drink at the end of the tour and this is where I discovered my love for Jameson, Ginger ale and Lime! This tour is most definitely on my to do list. It’s such an interesting and unique way to tour Dublin City. The tour guide is dressed in a military uniform fitting of the era and, as you’d expect, he’s said to be extremely knowledgeable and passionate about the events of the Rising and its key figures. 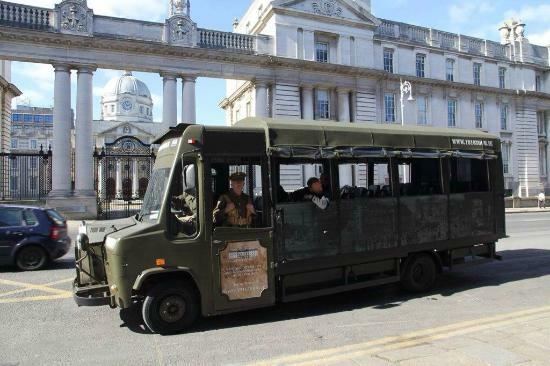 The method of transport is a military style truck, in which you visit the most significant locations of the 1916 Easter Rising (so cool! ), and you even get to hold replica weapons and equipment. It sounds like they’ve went all out and really committed to making this tour as authentic as possible, I can’t wait to do it! I hope you got some inspiration! There is plenty to do in Dublin, even in the rain, so get out and go exploring!